BIRD riders take to the streets all over Corpus. Corpus Christi has just received a new electronic means of transportation, one that could be affordable to students but problematic for everyone else. 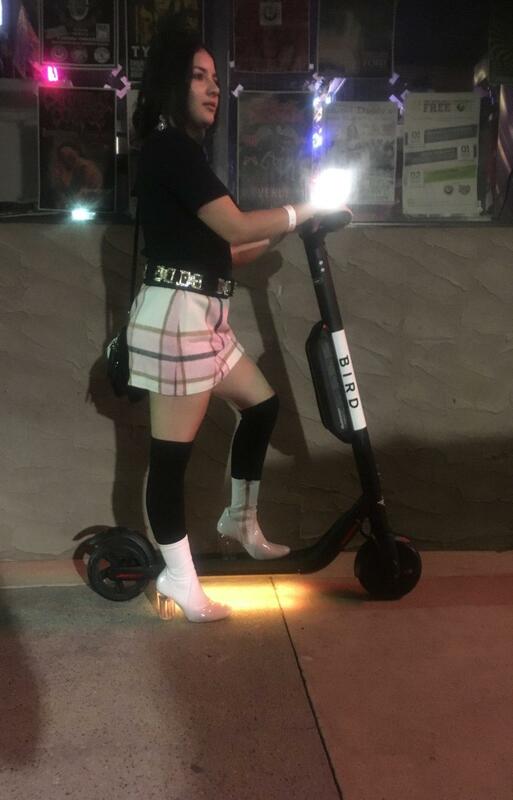 The Los Angeles based company Bird has been making headlines for its electronic scooters, “BIRDs,” which have taken over cities such as Austin, San Antonio and now Corpus Christi. BIRD riders can find the scooters through the BIRD app. BIRDS are easy to use, affordable and allows for quick transportation to and from campus. Riders find the nearest BIRD, rent them and ride them to their destination. At the end of each day, BIRDs are picked up, charged and then returned to their “nest” where they will be available for public use the following day. Renting a BIRD starts at $1 and then charges 15 cents per minute. According to CNet.com, the max range for a bird scooter to travel is 15 miles. BIRD “Charger” positions are also available through the BIRD website in which Chargers get paid daily to pick up and charge BIRDs. Other students across campus who have transportation issues feel the same way. Part of the controversy with BIRDs is that riders are encouraged to ride BIRDs in the streets instead of sidewalks, which could lead to potential safety issues. BIRDs typically reach speeds up to 15 mph and riders are encouraged to wear their own helmets. Another issue is the parking. In addition to being able to ride anywhere, BIRDs are often parked anywhere, such as in the middle of sidewalks or in front of doors. There are no current policies restricting BIRDS on campus. We will keep you updated if that changes.